The Landbier Dunkel (sampled in Bayreuth 6/04) from here is simply one of the best brews I've ever had - rich and malty up front but well balanced by hops, excellent fullness and mouthfeel, deep amber in color. An excellent addition to the product line. Very good Landbier - brown colour, fruits and hops in the nose and a soft, malty taste with some butterscotch. Good Hell with an unusually hoppy character. 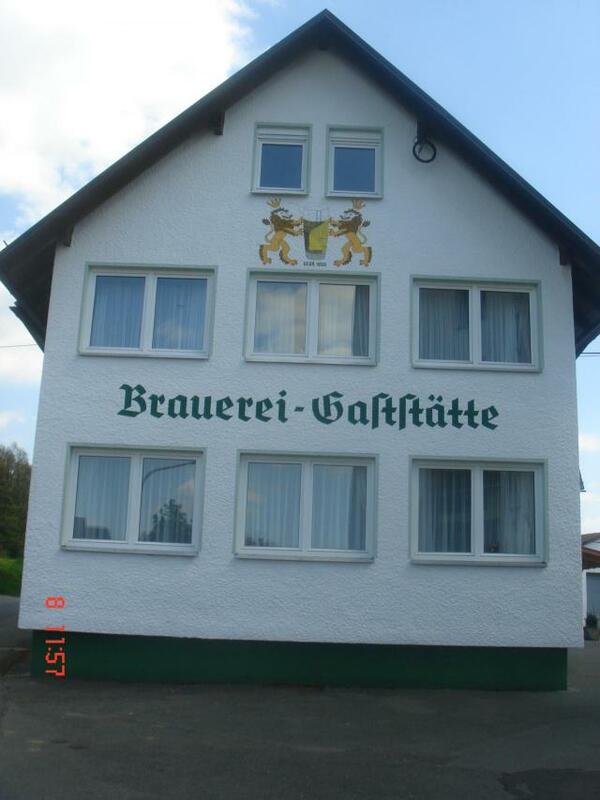 Situated in a tiny village, this brewery is well worth a visit. A large copper kettle is visible as you drive towards it. The pub is very 70's simple. The mother of the brewery served us their Landbier and Festbier. Both were very good examples of the style. Then she showed us the brewery's own chapel! Another reason to search out this unique brewery. Which number is lowest 43 or 27?